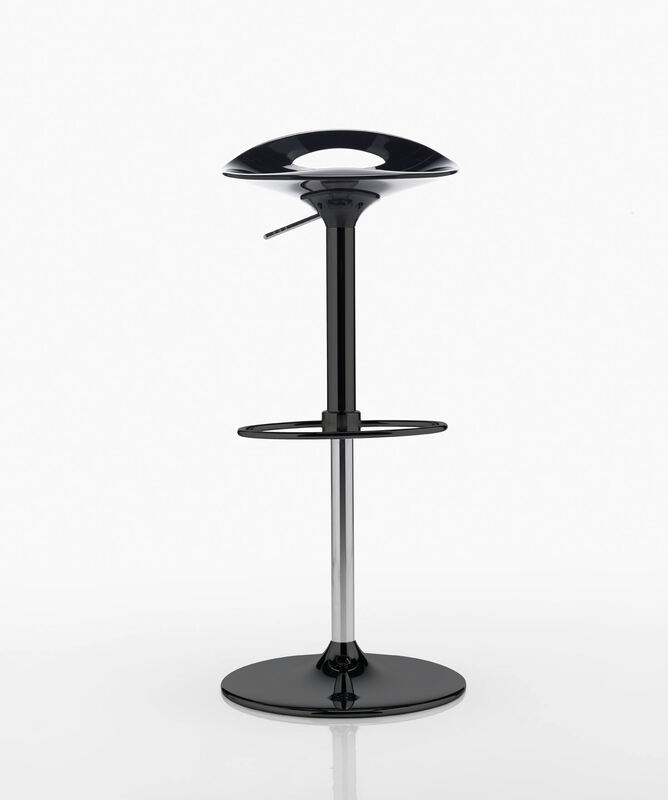 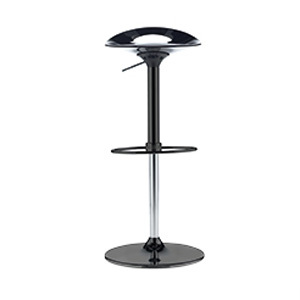 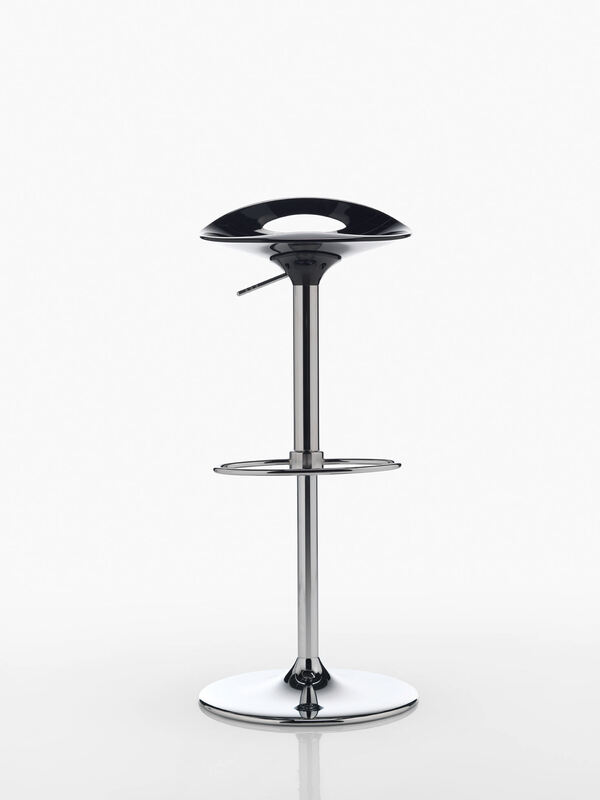 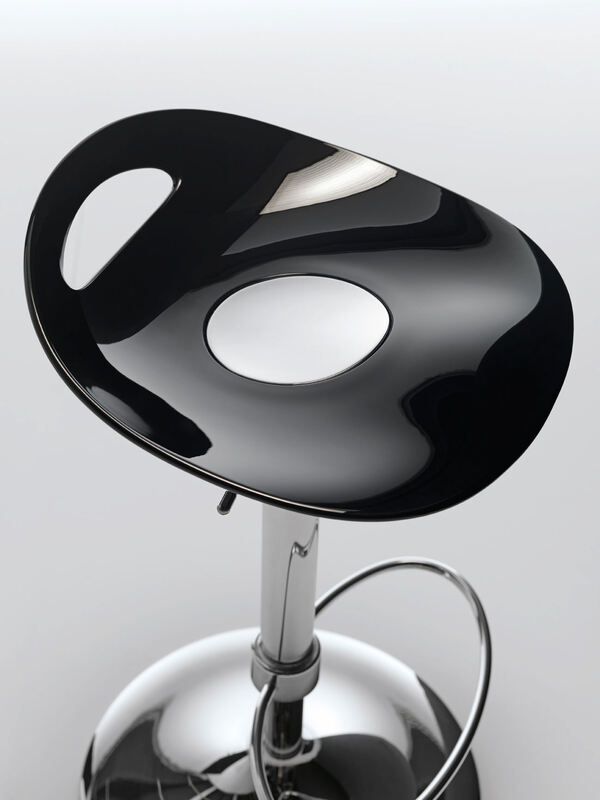 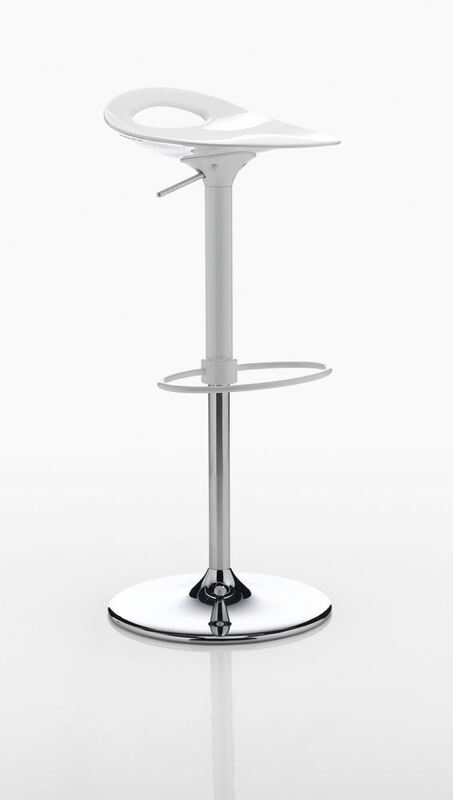 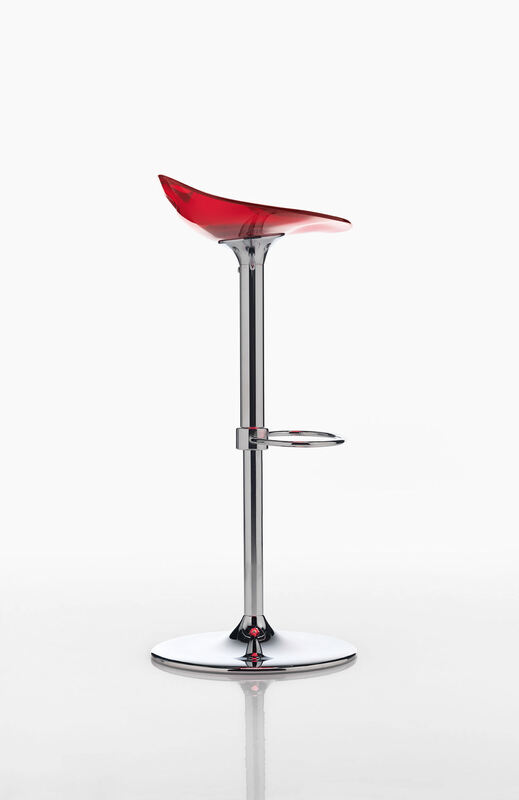 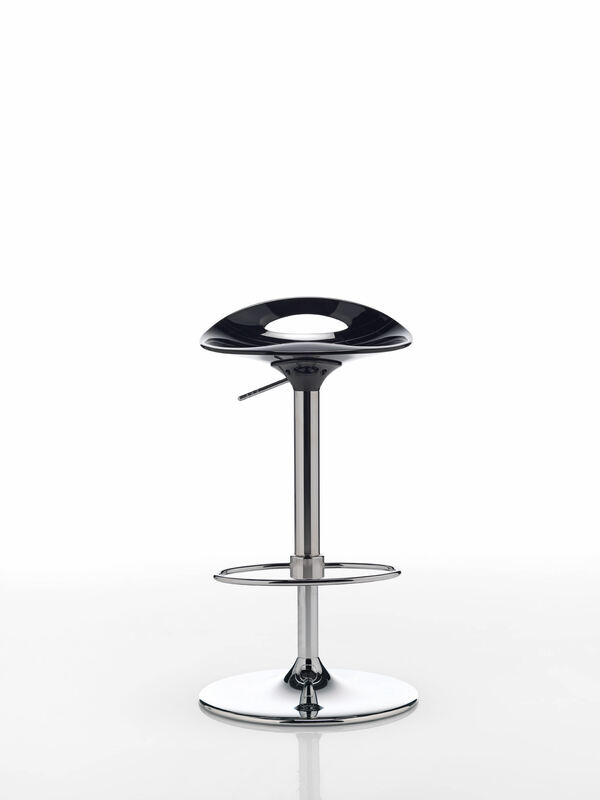 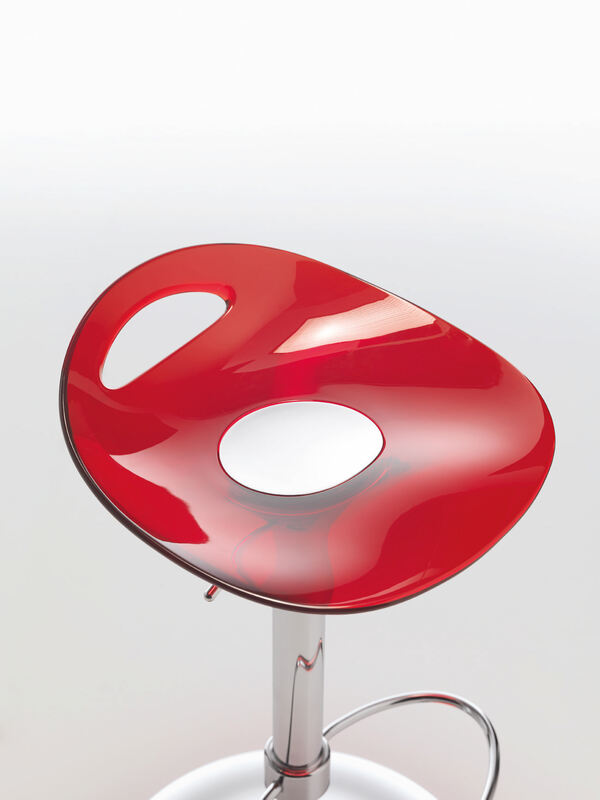 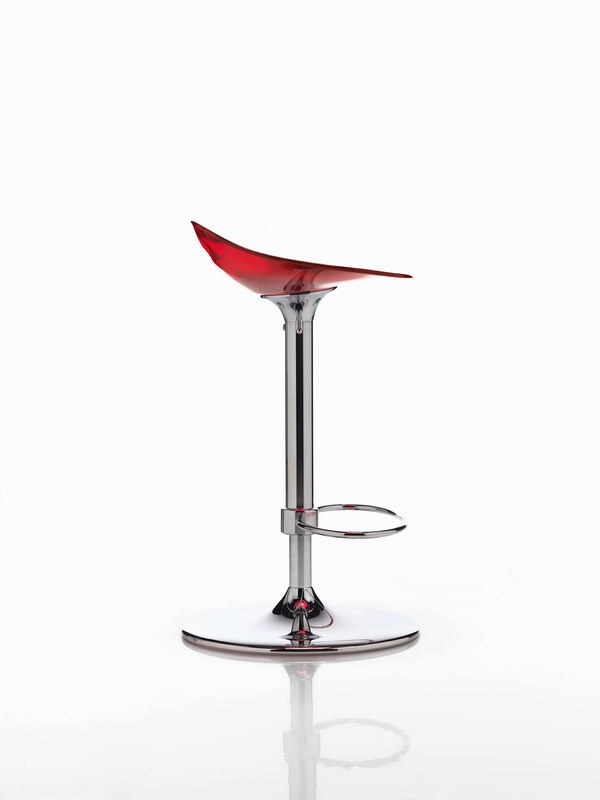 Height adjustable swivel stool. 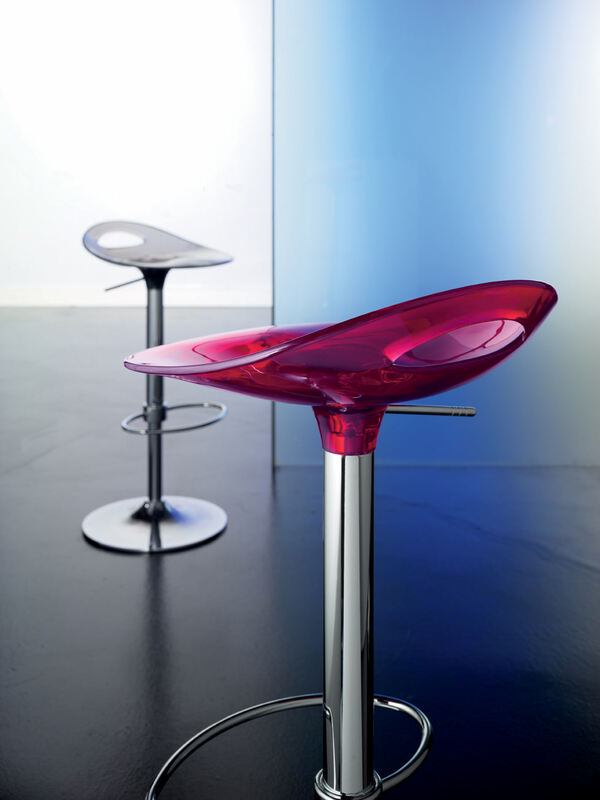 Seat shell in injection molded polymer. 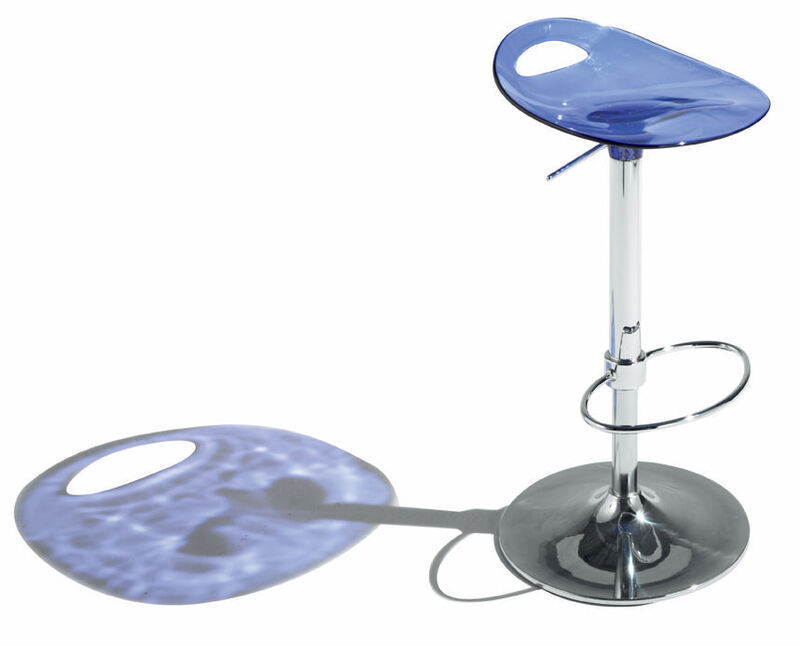 Base and seat shell support in die cast aluminum. 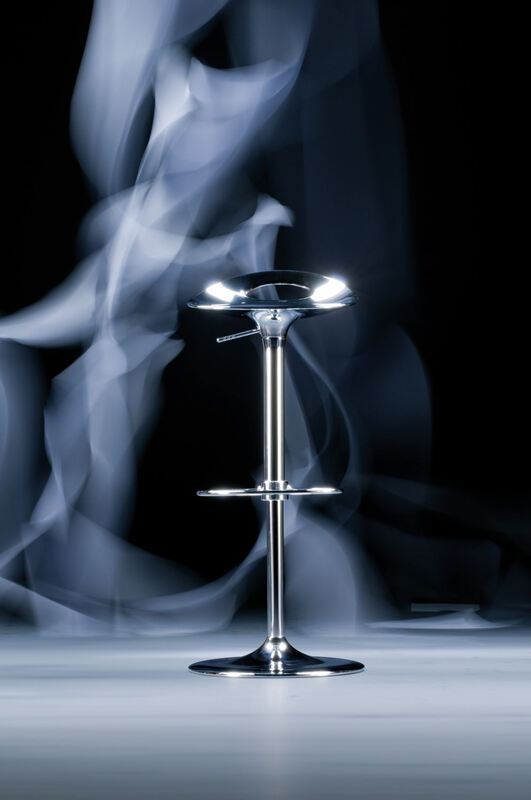 Polished chrome, lacquered, or matte chrome frame in steel tube. 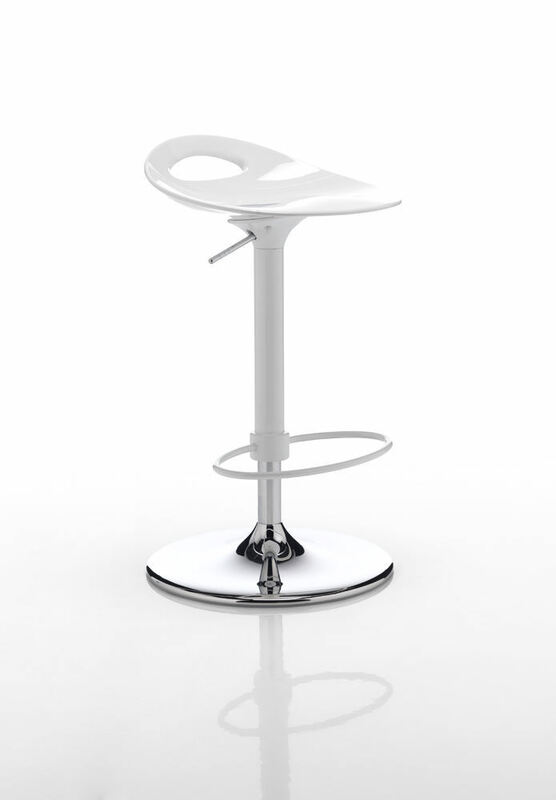 Matte chrome frame - $55.